It is perfectly understandable that when you see the title screen for Habanero’s London Hunter, you may not know what is going on in this slot. This is defiantly one of the more original games out there. The opening screen greets you with a London gentleman, especially moustachioed, along with his T-Rex and dog partners. While the theme may be confusing at first, its absolute beauty will draw you in to find out more. The level of detail that has gone into the design of London Hunter is incredible. It’s made even better by the great animations and smart use of colour. Habanero certainly wanted to have a dark tone to the game with its Victorian steampunk theme, but at the same time the palette used is clear and bright, making for the perfect combination of mood and functionality. If this slot is anything to go by, Habanero will be on fire in 2018. They have already revealed what a great 2017 they had, with many analysts saying that Habanero could double their revenues in 2018 after some amazing acquisitions. 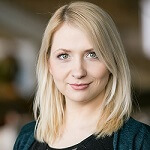 London Hunter is proof that Habanero will not be resting on their laurels until they become the top developer for online casinos. 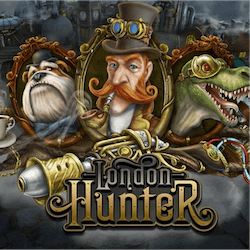 London Hunter is a 97.94% RTP pokie which, combined with its looks, makes London Hunter a must play. The reels are laid out in a standard 5×3 grid with wagers starting from 0.01 per coin you can activate a total of 25 paylines. The jackpot is set at 250 000 which is no joke considering the biggest possible wager here is 25. The bonus features are pretty basic, with expanding wilds and free spins on offer. The free spins game award you with 10 free spins. You can also have an up to 3x multiplier active and with the special blue fuel meter on each side of the reel, you can gain an additional 6 spins. The fuel tanks can also cause the T-Rex symbol to become an expanding wild icon that can apply an up to 3x multiplier to wins formed with it. All in all London Hunter is a unique slot experience that will have you on the edge of your seat. Its high RTP and just downright fun game play makes it a highlight this year for Habanero. If they keep this up, their analyst’s prediction will certainly come true.